The new Heritage Collection Rouge et Noir celebrates the 110-year-old pioneering spirit of Montblanc. New Montblanc Heritage Collection Rouge & Noir Special Edition Tropic Brown Fountain Pen features a longer, slimmer silhouette, modern piston filler technology and craftsmanship refined over generations with brown precious resin in barrel and cap. 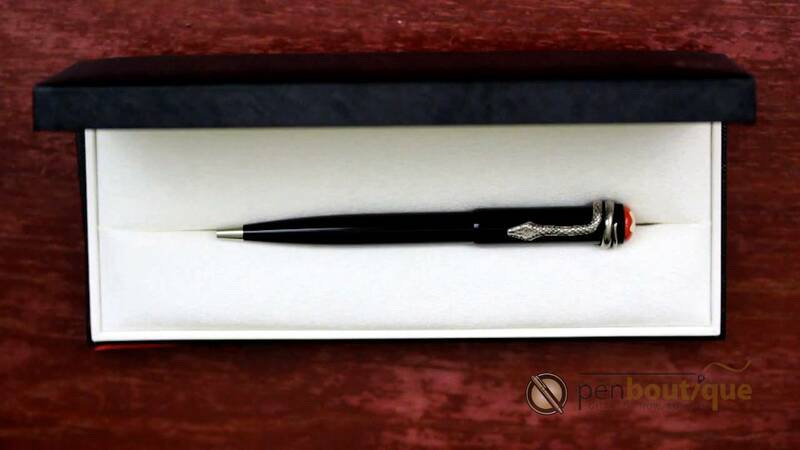 The Pen is designed with a snake clip, made by a stamping and winding process in a special alloy metal, and is aged by a unique galvanic and stripping process. Hand-crafted Au58 /14 K gold nib with serpent design offers a distinct penmanship experience.